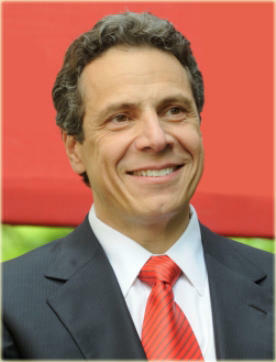 Governor Andrew Cuomo vetoed a bill last week that would have given doctors the final say in the medications their patients can access under their Medicaid Managed Care plans. Patients must now appeal every time their prescribed drugs are denied. The governor said the nicknamed “provider prevails” law could have an unbudgeted fiscal impact on the state. Kev Coleman is the head of data and research at HealthPocket.com. He says insurers work to keep costs down by limiting the medications they cover. “With all these wonderful medical advancements, there’s also an attendant issue around how we properly manage cost, how we properly steer patients towards the most effective drugs rather than drug that are less efficient both clinically and economically,” says Coleman. According to Coleman, the system only works if there’s an efficient, rapid appeals process for patients. That process may be more of a challenge for people who use Medicaid Managed Care. “They’re more vulnerable to the system. They may not be as empowered or equipped to be able to make challenges when a coverage determination is made that isn’t in their favor,” says Coleman. Writers of the law specifically cite patients with conditions like epilepsy, AIDS, and certain mental health conditions are more likely to get scripts for restricted medications. Health care advocacy organizations are calling for Governor Andrew Cuomo to sign a bill on his desk that would ensure doctors have the ultimate say over what medications their patients take. If your doctor prescribes a medication, your insurance will cover it. Right? That concept is called “provider prevails.” That is: the medical provider’s judgment what drugs the patient will take. That authority particularly matters for people living with AIDS, epilepsy, and certain mental health conditions who take expensive medications.